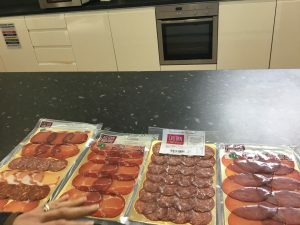 There are so many different types of cured meat ,How to find the best local,free range grass fed British cured meat is one of the best you can buy. To get to know this product even better watch my You tube interview to find out exactly what gose into making the very best cured meat. Get your rural business listed! Ever wondered how your cured meats are made?. 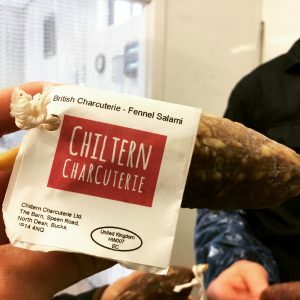 I was lucky enough to go to Chiltern Charcuterie to find out the exact art to this wounderful product. There is a huge variety of different types of cured meat, the list and examples of cured meat and the variation of cured meat recipes. So how do you know which are the best one’s and where they are for sale either from a retailer or online. Well Farmpress can help solve this little problem. Laying in the beautiful Chiltern Hills is a Charcuterie who believes in using top quality grass fed local beef and free range local pork. Their passion for this product is seen and tasted in the end result. But don’t just take my word for it, click on the you tube link at the bottom of the page and watch it for your selves. © 2019 Farm Press | Credits | Site map.